Indo-City Infotech Ltd. is in portfolio of Subramanian P. He is one of the top investors in India. The company belongs to IT sector. I will tell you my experience while analyzing this Company. I tried to locate the website but it was not present. Google does not have the website listed in their search result. I found one which was suspended. The only information I was able to gather is that it is Mumbai based software company. Besides that I have no idea about products or services it offers. The long term chart tells you the whole story. I was not surprised at all. IT Company having no website of its own is itself a big joke.It has destructed wealth of investors in past few years. I am unable to understand how people end of investing in companies which does not have basic things in place. I strongly advice against investing in a Company which does not provide enough information about itself. Being a IT company website presence is bare minimum. There is not much information on other business websites as well. People should not invest money in these unknown entities thinking of miracle happening and getting huge returns over the years. It is always better to invest in steady companies giving compounding returns. 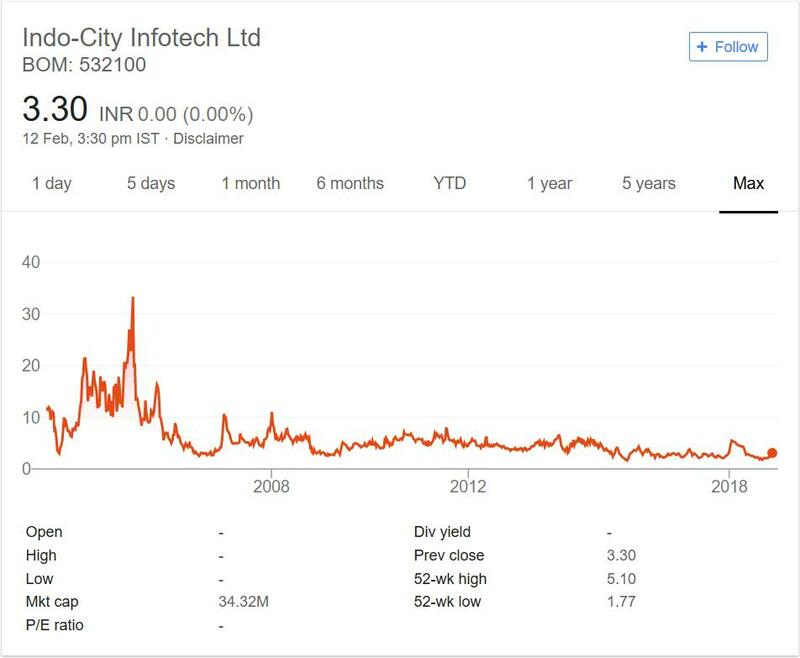 I will not track this Company and will not suggest anyone to track it either.There are many gems available in IT sector (Shall I name TCS and Infosys). IT sector has too many companies listed. The sector has both big and small companies. You can look into those if interested in this sector.